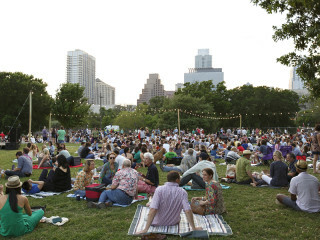 Families from all over Austin are invited to come spread their blankets, sit with their neighbors, listen to music and enjoy a wonderful night on the banks of Waller Creek during the third annual Waller Creek Pop-up Picnic. Chefs from some of Austin's most beloved restaurants will be preparing picnic basket dinners-for-two, ranging in price from $30 to $150, buts picnickers are also welcome to bring their own spread from home. Admission is free: Baskets range from $30-$150.